“I was just about to write that I met Sarah by chance, but realise of course I didn’t!! The universe was in complete alignment… initially I saw her because my body was unwell and needed some help nutritionally and so began her work…….I am now internally healthier and free from an autoimmune disorder and externally fitter. I then had a Thai massage to help release some lower back problems. All I can say is WOW and I totally deserve another one in the new year after working so hard this year! Now to my soul healing: Sarah is a Reiki master and took me on a journey through three Reiki sessions, again I want to say wow! But actually it’s not enough to describe this journey of enlightenment. As a psychotherapist I completely understand the concept of soul murder in children(Shengold) that is carried forward through life. What Sarah does, in my opinion, through Reiki is to reintegrate and heal the heart and soul; release and reenergise stuck energy- at least in my case! It was a profound experience which led to my own training with Sarah, and her equally beautiful sister Angela, in Reiki 1. Everyone needs to have a double Reiki attunement with this awesome twosome. I swear I even experienced some psychic surgery on my shoulder during this experience! Profound beyond words. “Without any doubt, Sarah has pure magic within her heart and her hands. For many years I have attended Sarah’s yoga classes and I can not recommend her highly enough. Sarah’s voice alone can render the most stressed person into deep relaxation and the knowledge she imparts during the classes make it fun and informative. “I love Sarahs classes as there is a perfect mix of active movement and total relaxation. She creates a welcoming culture and I feel safe to let myself turn inwards and let her soothing voice do the thinking for me. “I have been going to Sarah’s yoga classes for nearly 10 years now and i still really enjoy them and get so many benefits from them – both physically and mentally. I have tried other yoga classes in the past, but i feel so relaxed in Sarah’s class as it is such a friendly and warm atmosphere, which is largely due to Sarah’s calm, positive and caring nature. She has such a relaxed and non-judgmental persona and a great sense of humour too. She is also very knowledgable in so many aspects of yoga and related subjects, and always encourages us to ask questions in class if we have any. “I have become a regular fixture in Sarah’s yoga classes. I discovered Sivananda yoga practice through Sarah and love these classes and flow. 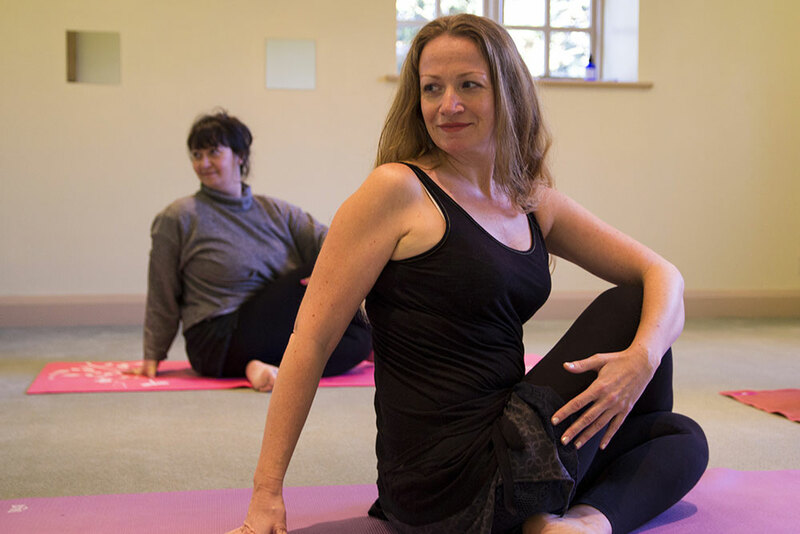 “I have recently discovered Yin Yoga classes with Sarah Grattan at Dawn Lister’s therapy centre and it has been the most wonderful experience. I come away each week feeling totally relaxed, cared for and nurtured. 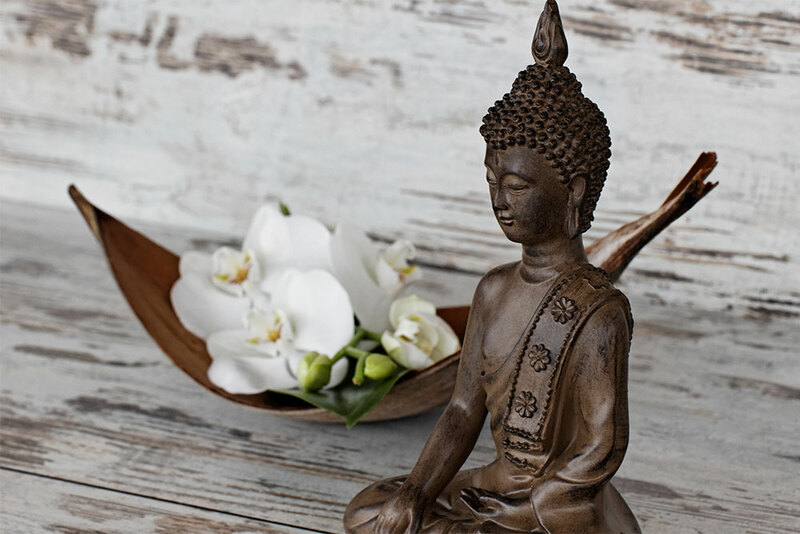 Deluxe Package: Yoga, Thai Yoga Massage and Shamanic Healing. “Whenever I’ve had a treatment from Sarah I’ve experienced the rare feeling that she knows exactly what to do and how best to do it! I had been suffering from a number of foot injuries over the past 6 months and tried various treatments with little success. I tried a yoga massage treatment with Sarah and it was amazing how after just one treatment I felt the difference – a positive improvement in the movement of my foot and ankle – in just 90 minutes. Not only that but I left feeling totally relaxed and in a state of bliss at the end of the massage! “Myself and my husband have recently seen Sarah for nutrition advice and i can honestly say it has completely changed my way of life and eating habits for the better! First of all I did feel a little apprehensive about the experience, as I knew after our initial meeting with Sarah that we would be temporarily cutting out certain food groups (which we have always been eating out of habit!) to see if I may have any food intolerances, and also introducing new healthy and nutritious foods, some of which I’d never even heard of; but Sarah explained the whole process to us in such an easy to understand way, and was so patient and approachable if we had any questions about our new food venture (which i had lots!). As soon as I got the hang of it I was off getting healthy food books from the library, researching new healthy recipes and buying nutritious food from health food stores. It was a big learning curve for me, but i thoroughly enjoyed the experience and have taken so much of Sarah’s nutrition knowledge away with me and I have since swapped so many of my usual foods for healthier options purely from what Sarah taught us along the way. I also feel like i have so much more energy and feel so much better in myself since the experience. “I looked to nutritional therapy after years of not feeling “quite right” and 6 months of severe stomach problems which i was under the hospital for. I was on a lot of tablets and had been told to eat “plain food” which resulted in me being afraid to eat. Sarah was brilliant. At my first appointment we went through all of the health issues I was having and my current diet. Sarah suggested I cut out all processed food as well as foods known to cause food intolerances. To eat a plant based diet with lots of spices and flavour. It was hard but after just one week of eating this way, I was able to stop taking my tablets, had so much more energy and was finally feeling confident with food. “The Reiki 1 attunements provided by Reiki Masters Angela and Sarah at the HolistiCentre were all I had wished for and more. The day is focused on the attunements but also includes yoga, meditation, plentiful refreshments and a delicious vegetarian meal to sustain you throughout the day. The attunements are a unique but profound experience and are made even more special as you have the advantage of receiving two attunements from the two lineages of the Reiki Masters. I loved every minute of the day and forgot all of my cares and woes completely. “I thoroughly enjoyed the Reiki 1 practitioner day with Angela and Sarah. There was so much packed into the day, including an interesting introduction to Reiki and lots of hands on practice, we also had lots of fun. For lunch we had beautiful food in the hotel restaurant.